Jewish Facts From Portland: What is Holy? G-d's world is great and holy. 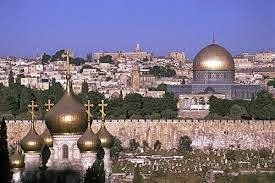 Among the holy lands in the world is the Holy Land of Israel. 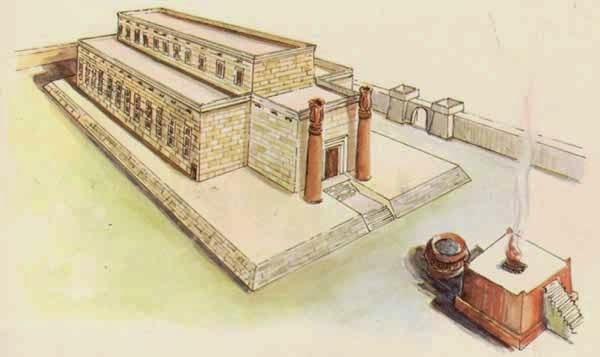 In Jerusalem the holiest place was the Temple*, and in the Temple the holiest spot was the holy of holies. There are 70 peoples in the world. Among these holy peoples is the people of Israel. The holiest of the people of Israel is the tribe of Levi. In the tribe of Levi the holiest are the priests. Among the priests, the holiest was the high priest. There are 354 days in the Jewish calendar year. Among these the holidays are holy. Higher than these is the holiness of the Sabbath (Friday night to Saturday night). Among Sabbaths the holiest is the Day of Atonement (Yom Kippur) , the Sabbath of Sabbaths. There are 70 languages in the world. Among the holy languages is the holy language of Hebrew. And in the Torah the holiest part is the Ten Commandments. In the Ten Commandments the holiest of all words is the Name of G-d.
And once during the year, at a certain hour, these 4 supreme sanctities of the world were joined with one another. 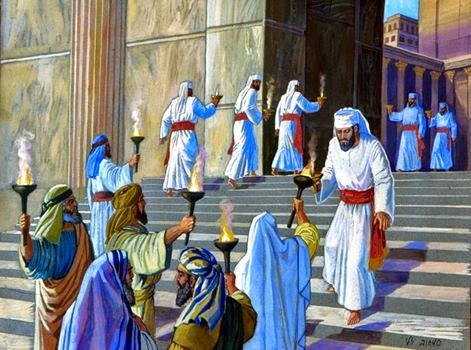 That was on the Day of Atonement, when the high priest would enter the holy of holies and there utter the Name of G-d.
And because this hour was beyond measure holy and awesome, it was the time of utmost peril not only for the high priest but for the whole of Israel. For if, in this hour, there had, G-d forbid, entered the mind of the high priest a false or sinful thought, the entire world would have been destroyed. Every spot where a man raises his eyes to heaven is a holy of holies. Every man, having been created by G-d in His own image and likeness, is a high priest. Every day of man's life is a Day of Atonement, and every word that a man speaks with sincerity is the Name of the Lord. Moses and Aaron, brothers, were from the tribe of Levi. Moses had his older brother Aaron be the first high priest. All males with the Cohen gene are descendants of Aaron, and they serve in the congregation as Cohens with certain responsibilities such as being called first to read from the Torah. It was Moses who brought us the 10 Commandments from Mt. Sinai. Resource: Folk tale adapted from a version in THE DYBBUK by Saul An-Ski found in the first page of THE JEWISH CATALOG BY Richard Siegel, Michael Strassfeld, and Sharon Strassfeld.